"Matt Robinson from "Dark of the Matinee" is back with streaming recommendations for the month of March. Matt has some great recommendations here, including one of my personal favorites of recent memory (The Loved Ones) and including a classic that I think is a must watch for any film fan (I Married A Witch). Come out in a few weeks and find your next favorite movie. The Phoenix Film Festival and International Horror and Sci-Fi Film Festival will have some fantastic films ready for your viewing pleasure. Come to IHSFF's opening night on April 8th and check out the phenomenally frightening foreign import "Under the Shadow" and stick around for the United States Premier of the Indonesian clown horror film "Badoet". Saturday night is just as great, check out the J.G. Ballard science fiction adaptation "High-Rise" starring Tom Hiddleston and directed by Ben Wheatley. Follow this screening up with the controversial "The Greasy Strangler", a film that is bound to make any genre fan squirm uncomfortably in their seat. 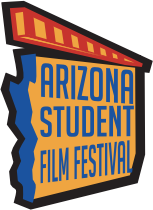 The fun continues throughout the week, check out PhoenixFilmFestival.com for schedule and ticket pricing. Hope to see you all there." The Town That Dreaded Sundown (Hulu Plus) - Prior to making one of last year’s best films, Me and Earl and the Dying Girl, director Alfonso Gomez-Rejon put his American Horror Story experience to good use in the interesting meta-remake of the 1976 film of the same name. The clever camerawork and creative references to the original make up for some of the more routine moments that continually stop this film from being a true original. The Loved Ones (Paramount Vault on YouTube) - Paramount decided to release several films for free on YouTube and this Aussie horror treat is easily one of the best. Imagine if the weird girl in high school kidnapped the nice guy hunk. From there the film goes full bananas as it pits the young stud against a truly memorable female villain and her equally mental father. This is easily deserving of a place among the best horror films of the 2000’s. Blood Glacier (Netflix) - This Austrian horror film isn’t shy about its reference points, The Thing most obviously. However, it manages to find its own fun vibe and take a familiar setup into new places. The creatures and gore are mostly well done which adds to the overall enjoyable pacing of this import. Be sure to avoid the English dubbing as it makes the film feel far more like a C-movie than the B-movie it wants to be. I Married a Witch (Hulu) - Rene Clair directs this witty farce featuring a knockout performance by Veronica Lake. What’s even more impressive is how many of the film’s spectacular special effects hold up. The film follows man whose bloodline has been cursed by a witch to cause love to constantly fail. The film is part supernatural precursor to Bewitched and part romantic comedy. Hellions (Netflix) - For horror fans, Pontypool generally stands as a high mark in the zombie genre. Bruce McDonald returned last year with this tale of a young pregnant teenager on Halloween night who is visited by demonic children. Much like Pontypool, Hellions subverts the audience’s expectations. You will often think you know where this film is headed and then it will veer off into stranger territory. While not as successful as Pontypool, McDonald is a horror director beating to the beat of his own drum and that makes anything he does worth checking out.